Today is the 87th birthday anniversary of the late, lovely Phyllis Kirk! 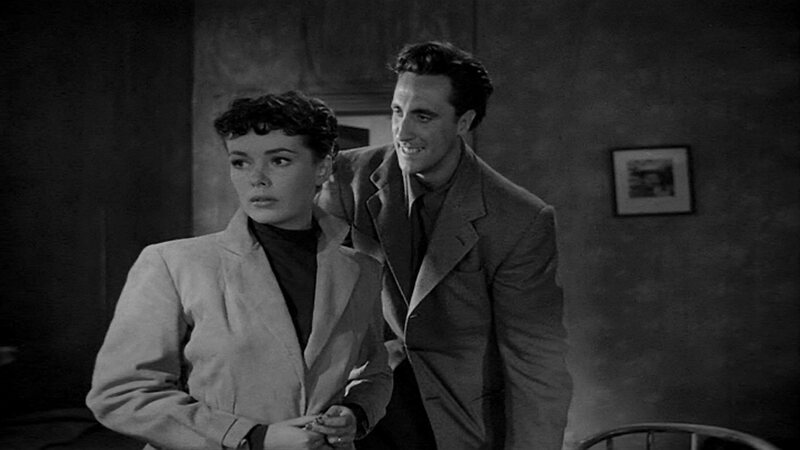 In her honor, we present another shot of her and Timothy from Andre’ De Toth‘s Crime Wave (aka The City is Dark, 1954 but filmed in 1952). 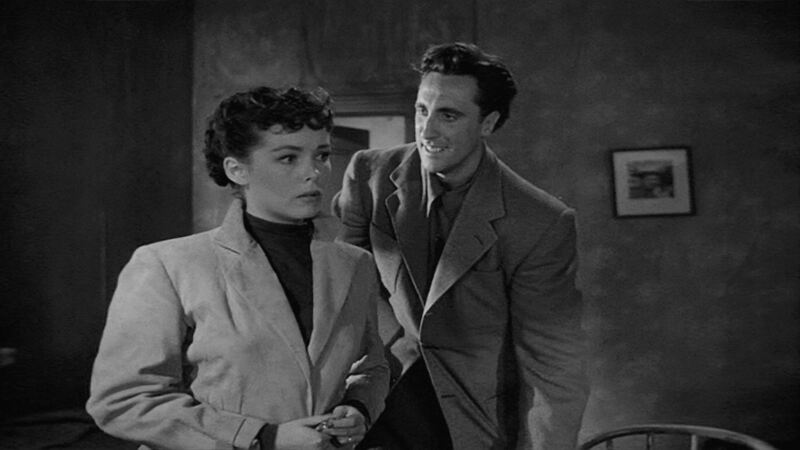 Ellen Lacey is unsure about being left under the supervision of giggling hop head Johnny Haslett. As well she should be. 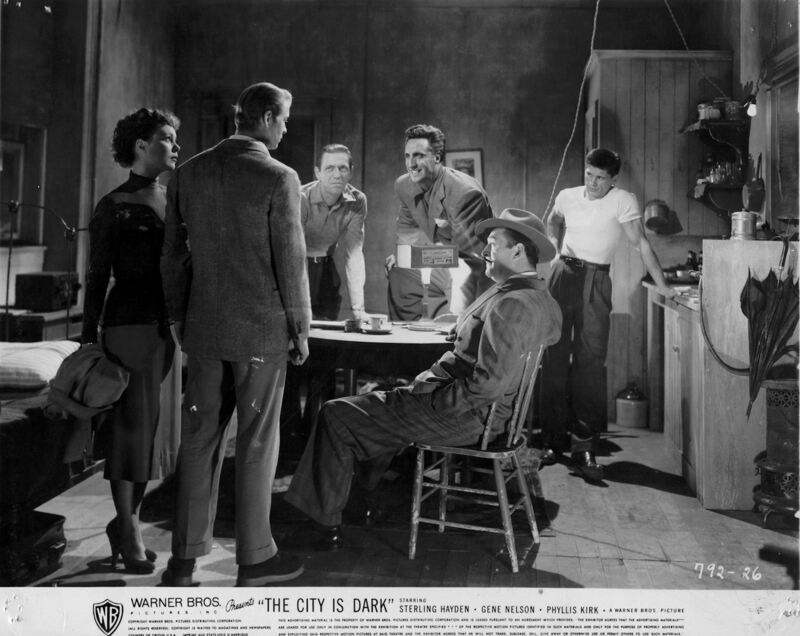 In celebration of the great Andre’ De Toth‘s 102nd birthday anniversary, today’s pic is the second of two key set photos from Crime Wave (aka The City is Dark) (1954) that I found on eBay a while back. Key set photos were shots taken on set and used for continuity purposes. Both photos feature Timothy menacing Phyllis Kirk, not surprisingly. De Toth was born Sasvári Farkasfalvi Tóthfalusi Tóth Endre Antal Mihály in Hungary (then Austria-Hungary) on this date in 1912. 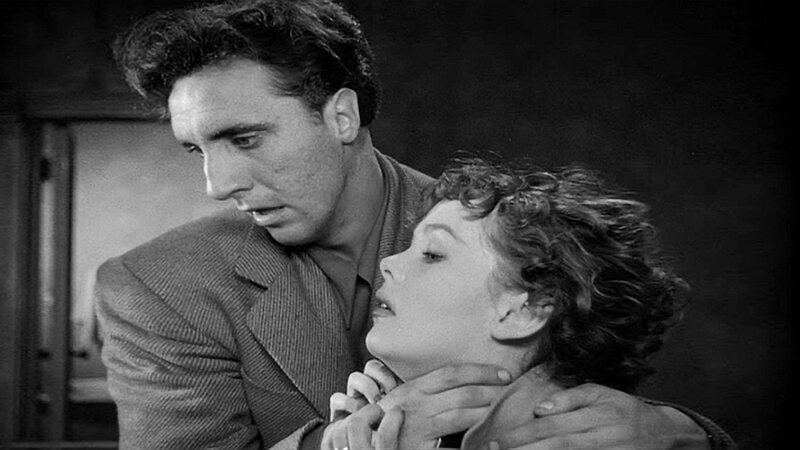 When, during an interview, he was asked about Tim’s acting methods in this film, De Toth replied, “Who was acting?” All of his films are a treat, and most definitely worth watching. Mr. De Toth, The Timothy Carey Experience salutes you! 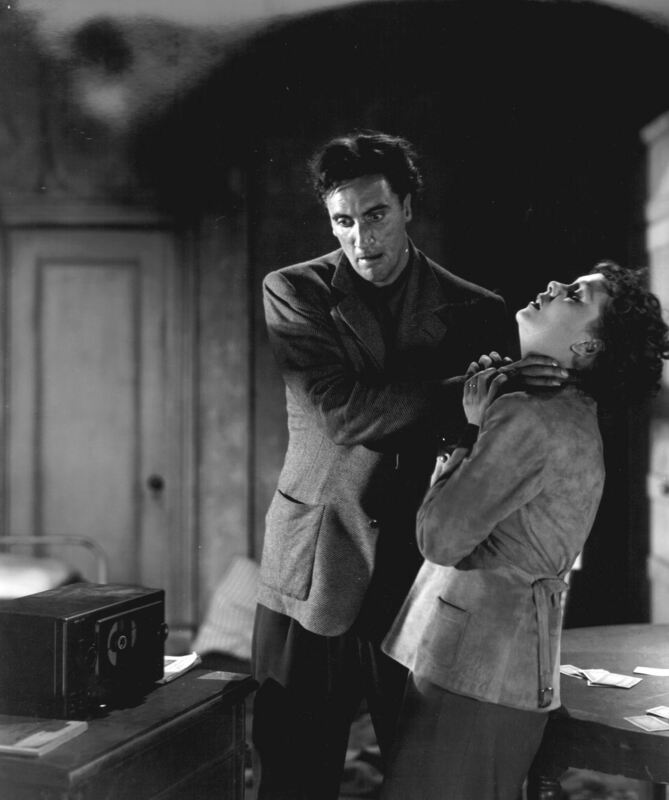 Our pic for today revisits Crime Wave (1954), aka The City is Dark, filmed in 1952 by Andre’ De Toth but released in 1954. 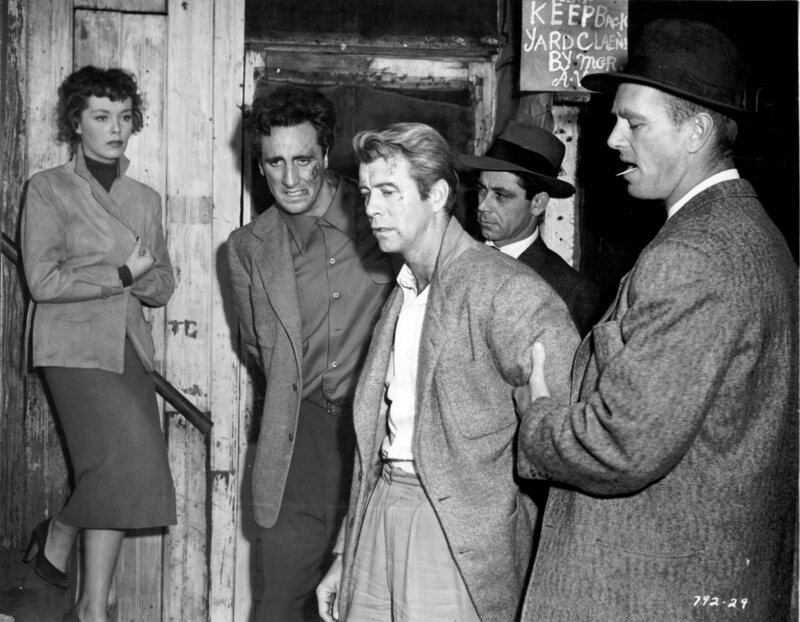 Timothy and Gene Nelson are being hauled away by Sterling Hayden and Mack Chandler, as Phyllis Kirk looks on. Tim has just taken an epic tumble down a flight of stairs, apparently with no stunt man. I can’t emphasize enough what a great film this is. If you haven’t seen it yet, shame on you.